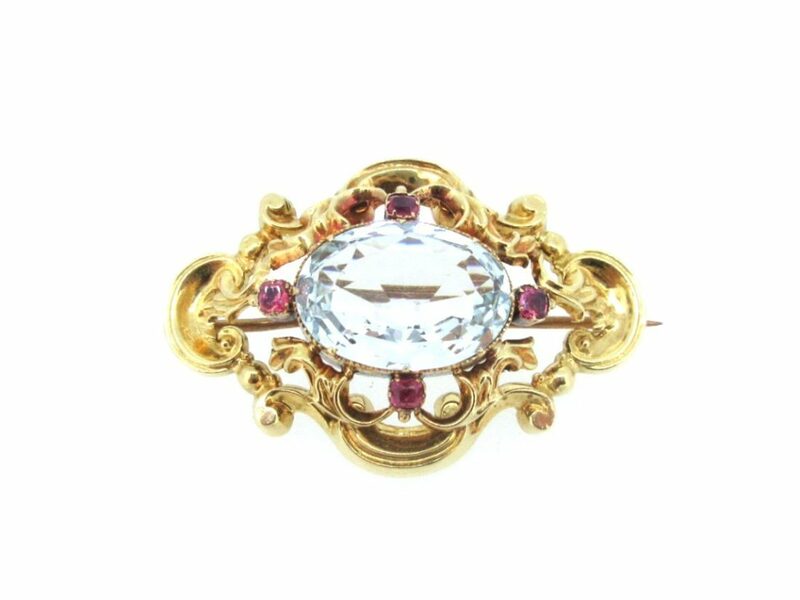 A beautiful & ornate antique aquamarine & ruby brooch. 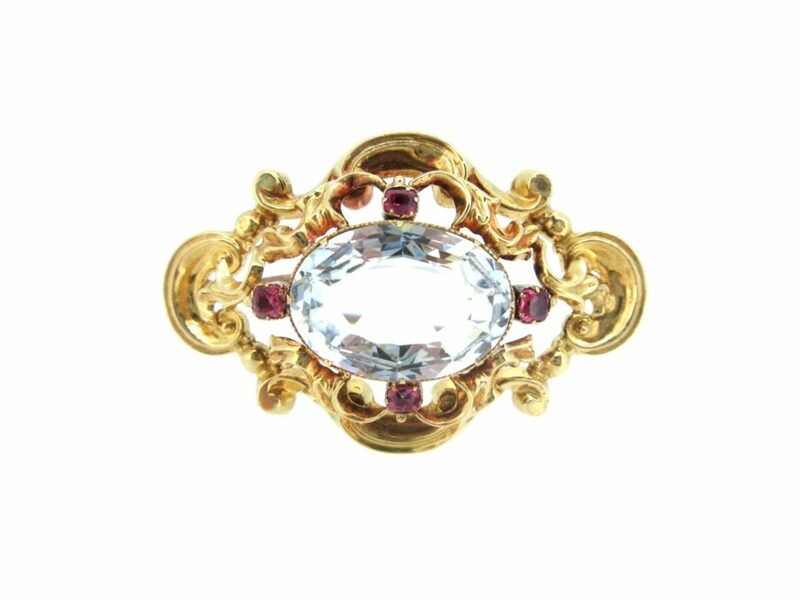 A mesmerising 6ct faceted oval aquamarine stone with four small rubies, all set in a highly detailed 18ct gold brooch. 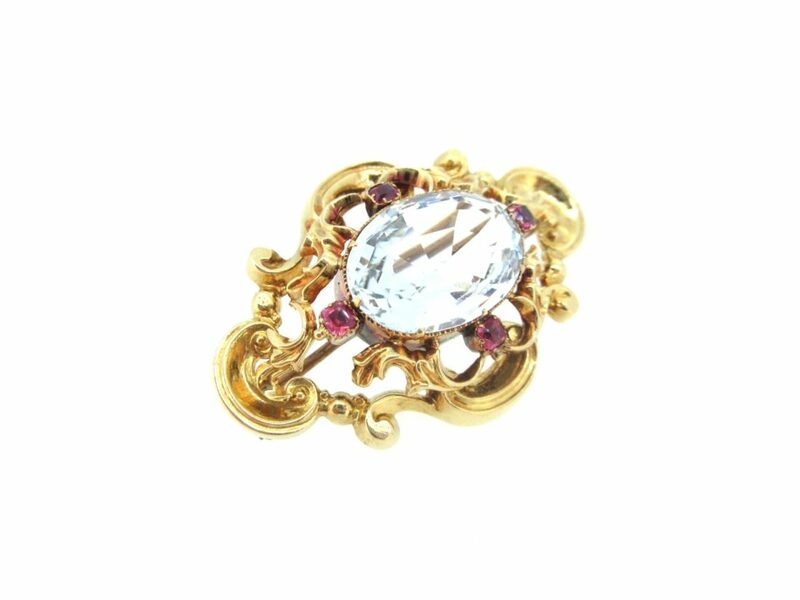 Pre-owned-owned.